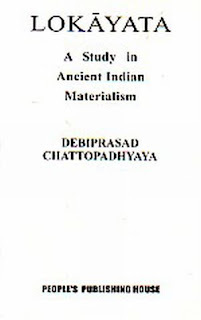 Debiprasad Chattopadhyaya’s Lokāyata (1959) is a much misunderstood work, although the subtitle of the book makes it clear that it is not meant to be a study in the Cārvāka/Lokāyata alone but ancient Indian materialism as a whole. Hence the book covers a wide range of issues involving archaeology, anthropology, Tantrism, Buddhism, Sāṃkhya, and finally, the genesis of idealism. There is also an appendix significantly entitled “Material Basis of Idealism”, extracted from an earlier and longer article by the author.1 It is in connection with the section on the Buddha (Book III. Chapter 7, “Sangha and Niyati: Studies in Illusion and Reality”, 404ff) that Chattopadhyaya discusses the Pali Sāmañña-phala-sutta (SPS), a major text in the Dīghanikāya, and analyzes the teachings of the Buddha vis-à-vis those of the five heretics, more particularly Ajita Kesakambala, Makkhali Gosāla, Sañjaya Belaṭṭhaputta, Pakudha Kaccāyana and Pῡraṇa Kassapa, leaving Nigaṇṭha Nāthaputta out of discussion. The reason for this exclusion, Chattopadhyaya says, is “we do not have the scope here to discuss Jainism” (507). However, Gosāla is discussed in detail, for “his failure in life and teachings formed the most dramatic contrast to the success of the Buddha” (507). This is a negative approach which fails to explain the social progress of the epoch under the flag of Buddhism. Mere “illusion” cannot act as an incentive to a popular upsurge through material and cultural development. In so far as there was lack of science, illusion it was. But it must have possessed a positive content. Perhaps their positive aspects consisted in the doctrine of Karuna and the principle of order which had given stability to benevolent despotism. (11. Emphasis in the original). The question [asked by Ajātaśatru] was simple enough. The teachers must have understood it. Evidently there was no real answer from their points of view: none of them could think of any real advantage in the life of a recluse. This point is so basic one might also miss it. But it is very important. According to the doctrines of all the heretical teachers except Mahāvīra, who clearly does not fit in this group, there was no benefit to be gained by abandoning home and becoming a śramaṇa, and no point to śramaṇa’s exertions. By contrast, in the Buddha’s system there was positive value and reward to these things, as is amply shown in his discourse (270 n121). Macqueen also asks his readers to see p. 486 of Lokāyata (where, after stating his view of the Buddha and the five heretics, Chattopadhyaya mentions Mahāvīra and grants him some “success, though not as great as that of the Buddha” in evolving “a proper illusion of the epoch”). It is interesting to observe that Chattopadhyaya in later years revisited the problem again and again and modified his stand. This is evident from his long essay, “Some Problems of Early Buddhism” (1970) and his two book-length studies, What is Living and What is Dead in Indian Philosophy (1974) and Science and Society in Ancient India (1977). However, they are concerned with the Buddha’s teachings only, not those of the heretics. Strangely enough, …the Buddha had even a closer similarity with another great social reformer…. He was Robert Owen. For Robert Owen, too, was building his sanghas, the communist colonies, as the Buddha, in the heart of a class divided society. Further, like the Buddha, Owen thought the change of heart would bring in such a miracle (36). Such similarity may appear to be very strange; however, on a deeper understanding of the historical development we can see there is nothing mysterious about it. Both of them saw the tyranny of the class divided society and because the Buddha stood very near its beginning while Owen near its end, the vision of a classless society could inspire both (36). In The Beginnings Chattopadhyaya dealt at length with causality and dialectics, mostly following Rhys Davids and ended with the concept of nirvāṇa, quoting at length from Oldenberg (132-36). All this, let us note, not only modifies Chattopadhyaya’s earlier position somewhat radically but supplements much that is new. Even in The Beginnings he was critical of the Buddha’s plan of the Saṃgha. “The begging bowl”, he regrets, “became the symbol of a Buddhist monk and private property took its revenge as it were on the Buddha for having been so critical of it” (136). In HSTAI, he revisits the whole issue and, what is significant, goes back to the six heretics, quoting again their views in full from the SPS (this time from a new translation). He now follows Dharmananda Kosambi (not only his illustrious son, D.D. Kosambi whom Chattopadhyaya quoted several times in 1959)7 and proposes to relate Sañjaya’s doctrine of vikṣepavāda/vikkhepavāda (the doctrine of equivocation) to the syādavāda doctrine of the Jains. Chattopadhyaya did not fail to note the fundamental difference between the two: while Sañjaya negated all alternative possibilities, the Jains affirmed the validity of all the ways of looking at things (86). Thus the omission of Jain philosophy – a serious lacuna in Lokāyata – was filled in HSTAI. Pluralism (anekāntavāda) received its due place of honour in what Chattopadhyaya described as the “intellectual turmoil” in India of the sixth/fifth century BCE. His study of the “new intellectual climate” is rounded up with the overview of the Upaniṣads on the one hand and Buddhist and Jain texts on the other. A fuller picture emerges from his analysis in his last work. Chattopadhyaya proved himself to be a truly creative Marxist by choosing the route suggested by the founders of historical materialism. Instead of following an over-generalized super-historical theory, he studied the Buddha and the six heretics individually, separately in the context of their own place and time and arrived at his conclusions. He did not hesitate to modify his earlier views in course of his research and presented his new findings boldly and emphatically. This should and certainly would guide future researchers in this field. Professor Probal Kumar Sen drew my attention to Dharmakīrti’s Pramāṇvārttika, I. 201, 217, 18 and his auto-commentary on I. 222 which relate ātman, aham, and mama. Professor Sen observed that these and similar other sources might have suggested the idea to Stcherbatsky or he might have worked out the idea of his own. 1 The full article was first published in New Age (monthly), the theoretical journal of CPI, in August 1958. 2 So long the date of the Buddha’s death was commonly accepted as c. 486 BCE but recently on the basis of archaeological evidence the date has been brought down to c. 400 BCE. See Norman, 50-51. 3 For details see Bronkhorst, 39 and 144n2. 4The influence of both Christopher Caudwell (Illusion and Reality, 1937) and George Thomson (An Essay on Religion, 1950) are only too apparent in this phraseology. Although Chattopadhyaya did not mention Caudwell in the bibliography of Lokāyata (as he did Thomson), it is evident that the concept of illusion and reality as found in Lokāyata is not derived from F.H. Bradley (Appearance and Reality, 1893) but from Caudwell. It may also be remembered that Thomson wrote the preface to Caudwell’s Illusion and Reality (signed “G.T.”) and took part in “The Caudwell Discussion” in The Modern Quarterly (Spring, 1951). Rahul Sankrityayan’s critical evaluation of the Buddha in Darśan Digdarśan (1944) (mentioned in the Lokāyata bibliography), too, might have influenced Chattoapdhyaya to some extent. 5This small book purports to be a general introduction to the study of philosophy, being the first volume of an eight-volume series, Global Philosophy for Everyman, edited by Chattopadhyaya himself. 6This metaphorical description has an intertextual relation to the title of Roger Garaudy’s booklet, Literature of the Graveyard (New York, 1948). Garaudy was then a leading member of the French Communist Party. 7It will be immensely rewarding to compare and contrast the views of D.D. Kosambi and Chattopadhyaya concerning the Buddha and the six heretics in their seminal works, An Introduction to the Study of Indian History (1956) and Lokāyata (1959) respectively (Kosambi added some new observations in The Culture and Civilisation of Ancient India in Historical Outline (1965) and the second edition of 1956). But we must defer this discussion lest the digression would lead us away from the point we are now concerned with. I propose to stop here only by pointing out how two leading Indian Marxists approached the question from the same angle and ultimately arrived more or less at the same conclusion. However, it should not be overlooked that, in spite of their basic similarity of approach, they had reached almost opposite conclusions in the 1950s. The starting point even then was the same: transition from the pre-class society (tribe) to the class-divided society (state). Yet Chattopadhyaya harped on the illusory nature of the Buddha’s teachings and the element of despair and frustration common to the five of the chief heretics. Kosambi, on the contrary, had found many positive elements in their teachings and suggested a continuity found in later developments of Indian philosophy (Ajita Kesakambala and the Lokāyata, Pakudha Kaccāyana and the later Vaiśeṣikas, for instance). Chattopadhyaya, as has been shown above, too came to the same conclusion much later, specially when he studied the philosophical systems of India in relation to history of science and technology. Bronkhorst, Johannes. Greater Magadha. Leiden: E. J. Brill, 2007. Chattopadhyaya, D. The Beginnings. Bangalore: Nava Karnataka Publications, 1990. Chattopadhyaya, D. History of Science and Technology in Ancient India, Vol. 2, Calcutta: Firma KLM, 1991. 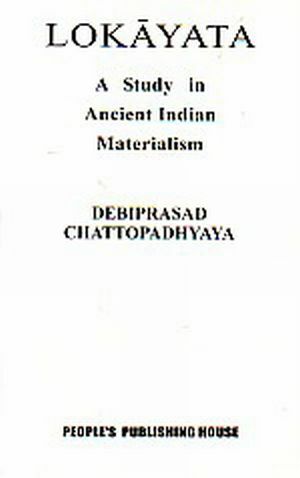 Chattopadhyaya, D. Lokāyata: A Study in Ancient Indian Materialism . New Delhi: People’s Publishing House, 1959 (third edition 1973). Chattopadhyaya, D. “Some Problems of Early Buddhism” in: Rahul Sankrityayan and others, Buddhism: The Marxist Approach. New Delhi: People’s Publishing House, 1970 (reprinted 1978), 9-38. Kosambi, Dharmananda. Bhagavān Buddha. New Delhi: Sahitya Akademi, 1980 (Bengali Translation. First published in Marathi in 1940). Macqueen, Graeme. A Study of the Śrāmaṇyaphala Sūtra. Wiesbaden: Otto Harrassowitz, 1988. Sen, Bhowani. “Lokāyata: Probe into an Obscure Chapter of Indian Philosophy”, New Age (weekly), 29 November 1959, 8, 11. Reprinted in Psyche and Society, 8:1, May 2010, 65-69. Stcherbatsky, Th. “Philosophical Doctrine of Buddhism” in Further Papers of Stcherbatsky. Calcutta: Indian Studies Past and Present, 1971, pp. 9-33. Vogel, Claus. The Teachings of the Six Heretics. Wiesbaden: Kommissionsverlag Franz Steiner GMBH, 1970. Acknowledgements: Amitava Bhattacharyya, Hans Harder, Krishna Del Toso, Siddhatha Dutta, Subhasish Mukhopadhyay.